Social media can be a great asset for business owners in the quest to retain and acquire customers. However, understanding what to do and on which platforms can be tricky to navigate - how do you know if your social media efforts are actually working? The good news is that you can help to define your business efforts on social media with the use of a strategy that aligns your goals with your audience. But how exactly do you create a social media strategy? 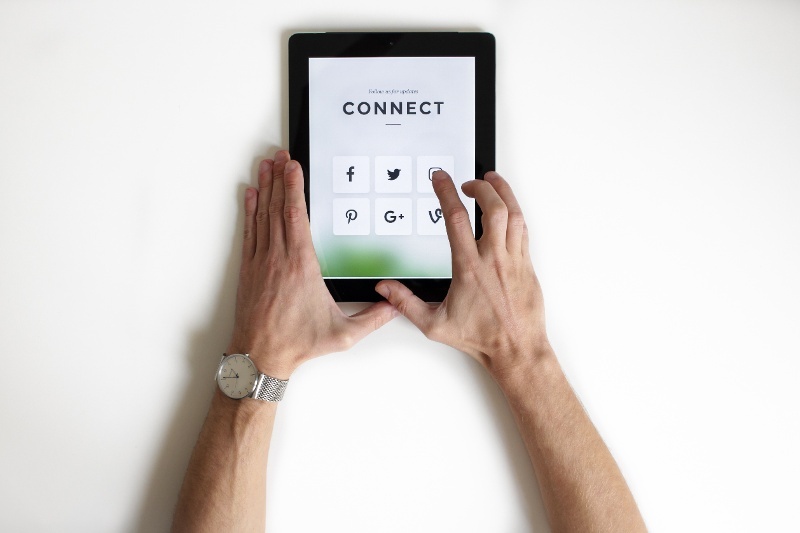 It may be unsurprising to learn that the way people are using each social media platform is changing - if you're using these platforms yourself, you will understand from a consumer point of view. For example, there are over 400 million Instagram users creating Instagram stories every day, in the past two years content consumption on Facebook has increased by 57%, and 80% of millennial Pinterest users say that the platform helps them decide what they should buy. So how can you use this type of information to help develop your social media strategy? Before planning your social media posts and any new content for these, it's important to set a a solid foundation. You could waste many hours and dollars going forward if you skip this first step! Notice how none of these goals focus on the content or frequency of posting, but the action you want your audience to engage in via each channel. At this stage you are defining what success looks like, the how comes later. Be sure to set SMART goals, which will allow you to set realistic goals and help you track them easily. It's also important to understand the audiences that you are engaging with on each channel, and what they hope to achieve from engaging with your brand via their chosen platform. Discovering which social media platforms you're going to invest energy into comes from understanding the people you're trying to reach. Here's a global breakdown of user demographics. Understanding who you're trying to reach, and being present where they are is one thing. A good social media strategy goes beyond that and understands what they expect to see and creates relevant content for that platform. This is where your buyer personas come into play. Aligning your audience, goals, brand and content properly enables you to hit a sweet spot where your content is delivered to an audience that will engage on the most relevant platforms. To help with this, consider what content people expect to see on a platform and decide whether you have that content available or if you can create it. In this case, a social media strategy is looking for quality over quantity. Just because your competition is very active on a platform doesn't mean you need to be. It's important to instead focus on your own audience and be where they are, not where your competitors are (although you may end up being in the same place because they've done their homework too!). However, it is still a good idea to check out what they are doing. While you shouldn't steal their content ideas, it may give you some insight into the way their audience interacts - which can be helpful if your competitors are more established than your own brand. Understanding your own limitations is key to developing a good social media strategy. Video may be really effective, but if you can't do it affordably then it wouldn't be a good idea to build your entire social media strategy around filming content. Utilise content you already have, and if you are limited in certain ways think of how you can still achieve your goal in other ways. At the end of the day, your social media strategy should not stand alone from your other marketing efforts. Consider how your social media channels fit in with and boost your main inbound and content marketing strategy. You have the opportunity to engage with existing and potential customers, so you need to consider how you can communicate with this range of people. Are you simply wishing to share something interesting, or encourage them to take a specific action? What's important to understand is that while social media can influence a purchasing decision, it may not be responsible for closing a sale. This is where your sales team and website (content) come into play. Unfortunately it's not as simple as writing a few words and sharing a link. Keep reading for some handy tips to craft engaging social media posts. Define the goal of your post - are you hoping to get comments on a photo, 15 second views on a video, clicks through to your website, or enquiries via your channels? Defining your goal first will help you use language specific to your goal. Use action oriented language. This is specifically helpful if you want people to click on a link or take up an offer. For example, "We're holding a 30% off sale until the end of the month! ", versus "Get 30% off all products this month only! Shop online via the link here: [share link]". Which one motivates you to take action? Also consider using questions to provoke thought and encourage engagement. Choose your media. Are you going to share a photo or graphic, video, link or poll, or simply use text to share your message? Ensure you understand what will work best on the channel you are using, and understand what type of content your audience wants to see. Time your posts. It'd be silly to post a message at 2am just because you're up and that's when you have time to post. Understand when your audience is most engaged and schedule your posts so they reach an optimal amount of people. Most social media platforms will have this information available to you in their insights section already, so take the time to nosy around and discover any insights that may help you. When setting your goals you may come across the term vanity metrics. This is used to describe any metrics from your social media efforts that do not directly relate to your overall goals or business objectives. These are commonly listed as likes and impressions. Most marketers recommend that these metrics are not used to illustrate the success of a campaign, however if these metrics relate to the initial goal of your post they should be used. For example, if the goal of your post was to encourage people to click on the link you shared, you should be measuring link clicks to illustrate success instead of impressions or comments as these do not directly relate to the goal. However, if you share a funny photo you may be looking to measure likes and comments instead. Impressions - this defines how many screens your social post appeared on. It's not particularly valuable as a measure of success, as it doesn't indicate any level of engagement and could have included someone who simply skimmed past your content in their social feed. If you simply want to measure social engagement, look at likes, comments or shares instead as this indicates that a person has probably taken the time to look at your content and engage. If you've shared a link, look at click through rate (or link clicks) as this will indicate how many people read your message and were motivated to find out more. If you've shared a video, look at how long people have viewed the video for - longer than 10 seconds is a great result! Likes - This is a base level of engagement and is actually an important one for Instagram, but on LinkedIn and Facebook you should understand how this relates back to your goals before either palming it off or including it as a measure of success. Click is a much better metric for any links shared, or look at comments or shares if you want to simply measure engagement on the platform. Remember, seeing a low number of likes isn't an issue if the clicks or post shares are high. Number of posts - Maximum effort doesn't always mean maximum results. Posting a lot may help you feel like you're doing lots of marketing and will earn you lots of impressions, but if it's not generating your desired results then you're actually wasting time and resources (and potentially annoying your audience with irrelevant posts). Set defined goals for your social media marketing (like the examples given earlier) and measure your performance against those. Also plan your social calendar each month so you can see how it coincides with any industry or company events or notable dates, and new content. This will also allow you to effectively time and space out your posts. Ready to get started with a more rounded content marketing strategy, starting with social media? Make sure you have a thorough understanding of the content you already have and how it can be used on your social channels. Download the free content mapping guide here.